Are nuts and seeds allowed? Can I have almond milk in Phase 1 or Phase 2? Can I have soya milk? Can I have Tofu? Is it a carb or fat? Should I have natural yoghurt with a fat meal or a carb meal? What about sweet potatoes? Are they the same as normal potatoes? What is hummus? What is that classed as? Knowing our fats from our Carbs. Phase 1 came about following Zoë’s review of all the early literature referenced on the pages for Candida (Reference i), Food Intolerance (ii) and Hypoglycaemia (iii). Zoë took the foods allowed and/or recommended for each condition and put them together to establish Phase 1. Phase 1 is only five days long, although it is recommended to stay on Phase 1 for longer if you have more than 20lb to lose and/or if you have marked Candida overgrowth. This is eating as we should eat – real food – in satiating quantities. It is best to get into the habit of eating three main meals a day with in between meal snacks only if you are genuinely hungry. However, the most important thing with Phase 1 is to complete it. So, if you need to snack between your three main meals then you can have cold meats, hard-boiled eggs, celery sticks, raw carrots, Natural Live Yoghurt or a tin of tuna – whatever it takes to keep hunger at bay. 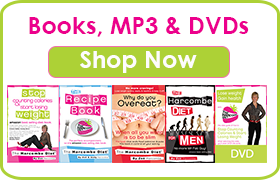 Any of the diet books (Stop Counting Calories; Why do you overeat? 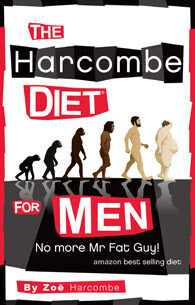 The Harcombe Diet for Men) will give you menu plans/meal suggestions and lots more information about Phase 1. If you'd like to leave a comment on this blog, please do so openly and politely and no hiding behind some pseudonym. As for spam, well that's just another word for junk and it will end up in the bin, where it belongs. Can I eat pork Scatchings in phase one? please drop me an email with your address and I’ll pop some cards in the post for you. I am new to Phase 1 starting today. I would appreciate something I could print out with 5 days of meals to help guide me. I am not vegetarian. Hi I am about to start with phase1. Could you please send me the food cards. Drop me an email with your address and I’ll pop some in the post for you. Hi, could you please tell me which phase you’d advise after a weekend, a weeding or a night out? Since we came across the amazing Harcombe diet many years ago (my husband had successfully gave up on smoking but ended up putting a bit of weight on), we’d now do phase 1 one or two days whenever we cheat but I must admit this is becoming a little bit restrictive. Would you go to that length every week (it’s the weekend we tend to cheat the most or when we are out) or would you just leave phase 1 as a post holiday detox boost? At home we are very happy with our weight as we feel this is our ideal weight, so the reason why we carry on with the phases is cause we know it’s the best way to eat. However after getting rid of process food, trying not to mix as much as possible, I sometimes feel still confused about the cheating bit, as I tend to get quite panicky while my husband tends to be more flexible about it. So I ended up wanting to do phase one the whole time, which has then started to feel quite burdensome! 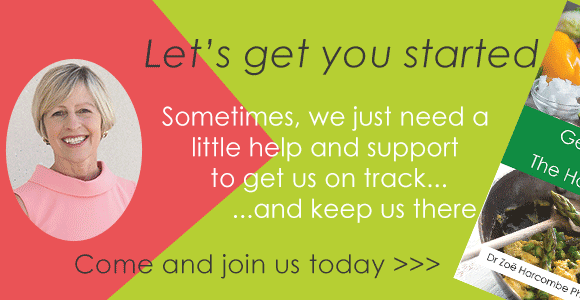 I’d suggest that you need to find something that works for you that you can stick to. Ph1 has it’s restrictions for a reason, so if you can better manage Ph2 (and sticking to it, not ‘on’ for 2 days and ‘off’ for 5), then maybe give that a go. I’m a week in on phase 1 and I’m aiming for 6-8 weeks on phase 1. I’m wondering if there are any great salad recipes people can recommend for me please? Thanks. Could you please help me understand why NLY is good, but milk is not allowed? And is there anything that can be used to whiten decaf tea and coffee in Phase 1? That is the only thing that I am finding really hard. Maybe almond milk, coconut milk, LactoFree milk? Try changing your drink to something that doesn’t need milk added – like herbal/fruit teas for Phase 1. I have signed up to this diet today, can we have tinned tomatoes or must they be fresh ones only . Also can you send me the food allowed cards as this will help me. tinned tomms are fine as long as they are just plain toms (no sugar added etc). email me your address and I’ll pop some cards in the post for you. Could I have the cards too please? I can’t find my Harcombe Diet book so I need a little guidance as I wait for a new one. Can you also remind me if we’re allowed olives in Phase 1 and no potatoes right? Thanks. I am about to start phase 1 and hear people talking about food allowed cards – this would be very helpful. Can I download these at all? Hi Emma, if you drop me an email with your address, I’ll pop some in the post for you. Can u have tinned carrots and peas in phase 1? As long as they are just in brine, no sugar. Hi Rachel I’m about to start Phase 1 of your diet please could you send some recipes or suggestions. What about coffee? I am thinking to start this diet but I really love coffee and I don’t like decaffeinated coffee. Thank you! Only decaf in Phase 1 as caffeine can play havoc with your blood-glucose. Please can I have some food allowed cards. I tried to email but got a bounce back. Hello, I have now been on phase 1 for 11 weeks and lost 34 lbs. I am still 28 lbs overweight. I am a lacto-ovo vegetarian, so my main protein sources have been eggs and tofu having avoided the pulses and beans. Shall I continue with phase one until I have lost the rest of the weight, or will I continue to lose weight on phase 2, after reintroduction of cheese, pulses and fruit; providing I avoid mixing carbohydrates and fats? I am so thankful that I found this diet and Zoe’s recommendations; having a very long history (over 40 years) of eating disorders, obsessive yo yo dieting and depression. The most significant difference I’ve found is a mental one, in that my attitude to “just living” has altered. Most of the time even everyday tasks could potentially be problematic. Previously, when dieting led to weight loss, I’d be pleased, but I was never rid of the constant underlying craving and being miserable about food. I describe it as an addiction like drugs/alcohol because food (especially high fat and high sugar) would be my first thought when faced with any difficulty. I’m an ex smoker so I recognize the symptom of reaching for “the fix”. I am hoping that this time the “bubble will not burst”. Thank you. If you’ve completed 11 weeks on Ph1, your probably fine moving onto Ph2, but introduce new food options one at a time and watch out for signs of intolerances. I’ve just started day 4 of phase 1& haven’t lost any weight. Also I’m often hungry which I thought should be slightly curbed. I don’t want to give up as I’m very inspired but rather disappointed. Is there any advise you could give me please? Depending on how much you have to lose, you may need to stick to Ph1 for a bit longer. Make sure that you eat enough at meal times to get you through to the next meal and adjust portions for your own requirements. Ok starting phase 1 tomorrow can I just check can I use mayo? Many veggie stock cubes that I’ve come across are fine. Parsnips are quite ‘carby’ so don’t go mad on them. I would like to try this diet, so I was wondering which book would have at least a weeks worth of sample menus in it to get me started? I was also wondering if potatoes and whole wheat were allowed on this diet, and if so how much? No pots or wheat on Ph1, ok thereafter as long as you’re ok with both. We don’t specify portion sizes. If you can drop me an email to clubadmin at theharcombedietclub dotcom with your address, I’ll pop some in the post for you. How can I replace meat and fish as I’m a veggie? No need to replace anything, just make veggie meals. There are veggie alternative plans in Stop Counting Calories and The three step plan. They are examples of the foods/recipes/meals that you can eat on Phase 1. Please email me with your address and I’ll pop some in the post for you. Hi, could I please obtain the food allowed cards. Hi Sam, if you send me an email with your address, I’ll pop some in the post for you. Hi, please could you email me ‘food allowed ‘ cards for each phase ? Hi Karen. I only have them as printed cards. If you can email me your address, I’ll pop some in the post for you. Hi. Do you have any specific guidance for Type 1 Diabetics on the diet please? I imagine regulating blood sugars will be a bit of a nightmare at first. Hi, I’ve just started Phase 1 today. Please can you let me know how we can get hold of the ‘foods allowed’ cards for each phase? Hi Rachel, if you drop me an email with your address, I’ll pop some in the post for you. You can take the meal plans and replace any of the meat options with a fish meal instead. Be sure to otherwise stick to the rules and carb limits. Well done you. And yes. Hi, are pulses (black eyed beans, crab beans etc) allowed in Phase 1, please?